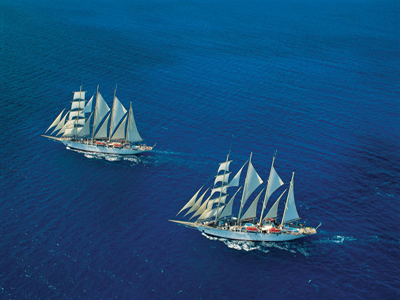 A Star Clippers Cruises voyage, a dream realised by Michael Kraft in the 1990's, delivers a genuine tall ship sailing experience with all the elegance and convenience of a modern cruise ship. 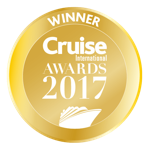 Typically with around 100-200 passengers onboard, a Star Clippers Cruises sailing genuinely features a sense of commeraderie, belonging and a calm and that is rarely found elsewhere. 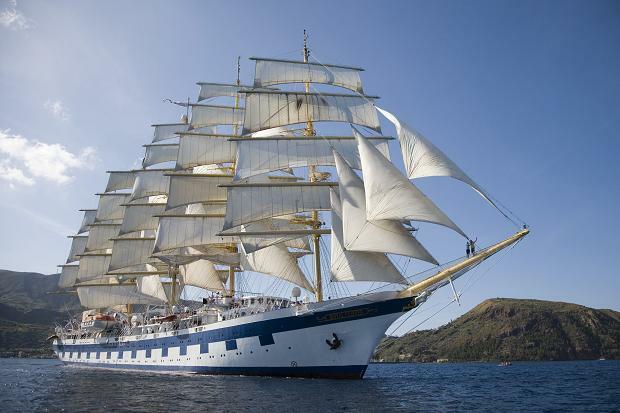 The fleet consists of 3 ships-Star Clipper, Star Flyer and Royal Clipper, the latter of these being the largest, accommodating up to 250 guests compared to around 150 on the other two smaller ships. 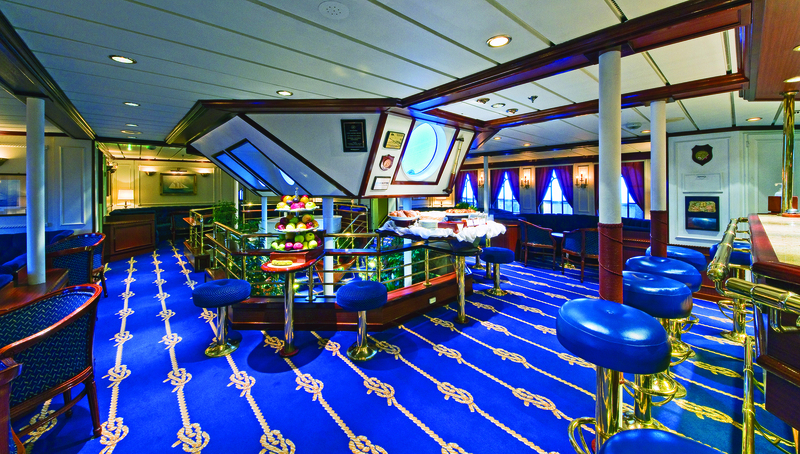 Breakfast onboard of the Star Clippers Cruises ships is served from 7:00 until 10:00 and consists of an extensive buffet, featuring continental options, traditional cooked choices, an omelette station and of course fresh fruit, juices and cereals. As with all meals, teas and coffees are readily available and freshly served by the attentive and amiable team of waiters. Lunches also work with a buffet format, with a wide choice of fresh dishes available from 12:30 to 14:00. Typically around 4 different main options will be offered, along with a carvery station, where a choice of suckling pig, beef, lamb will be served. Rice, pasta, veg, salads and side dishes are always also available to accompany the main courses. A truly magnificent dessert buffet is also served at lunchtime with fresh cakes and pasrtries as well as traditional puddings. 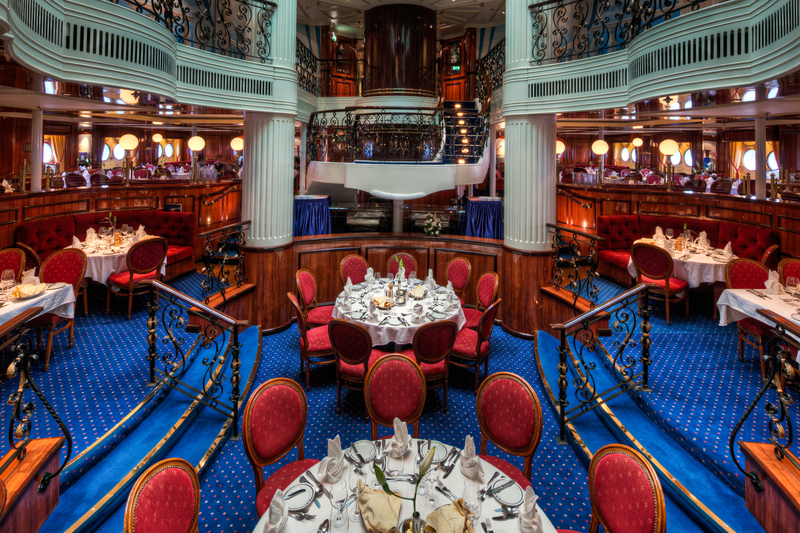 Once a voyage, a special themed deck lunch takes place, where typically local themed dishes will be served in the deck bar area, with a backdrop of live music. Jugs of water are available throughout, wines can be bought though from the waiting staff at a reasonable price. 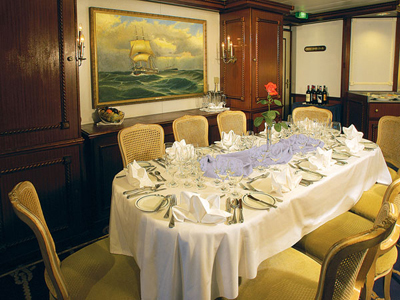 Dinner is a more formal affair, centred around a six course menu typically including a range of seafood and meat mains such as Chateaubriand or Lobster tails. 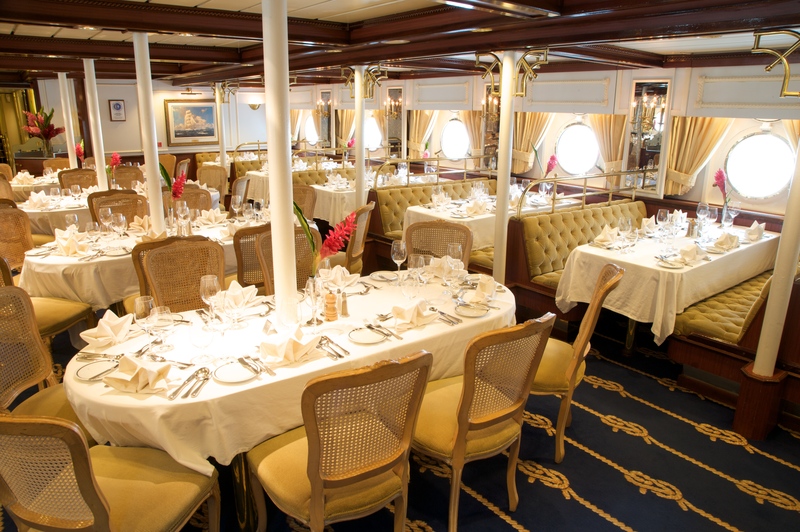 Dress code for dinner, is elegant casual, although once a voyage, Captains Night is slightly more formal, and an opportunity to dress up in your finest. Wines are available by the bottle, iced water, teas and coffees are readily available. dinner is served from 7:30 to 9:30 Usefully, shortly before dinner is served, the main course are served up for display at the enterance to the restaurant, so you can make an informed decision at the table. If any of the options on the menu don't suit, steak frites, and a pasta dish of the day are always available. 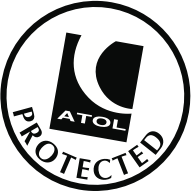 Dining is generally of a very high quality, and the service exemplary. 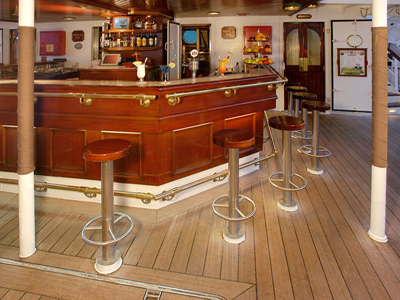 As you'd imagine, the smaller scale of these Star Clippers Cruises ships means the buffet or menu selections are created on a smaller scale, and the waiters really get to know you and your preferences. 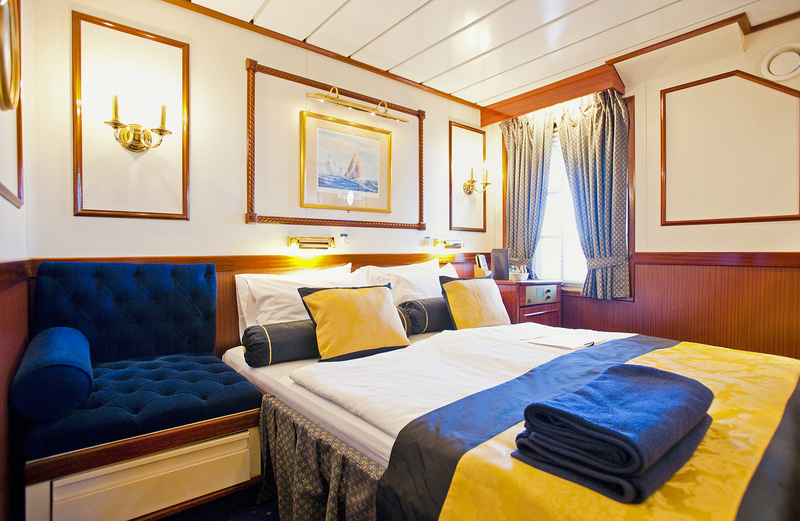 The Cabins on Star Clippers Cruises are on average smaller than those on the huge cruise liners, but thanks to clever design , storage space is ample and the layouts work well. 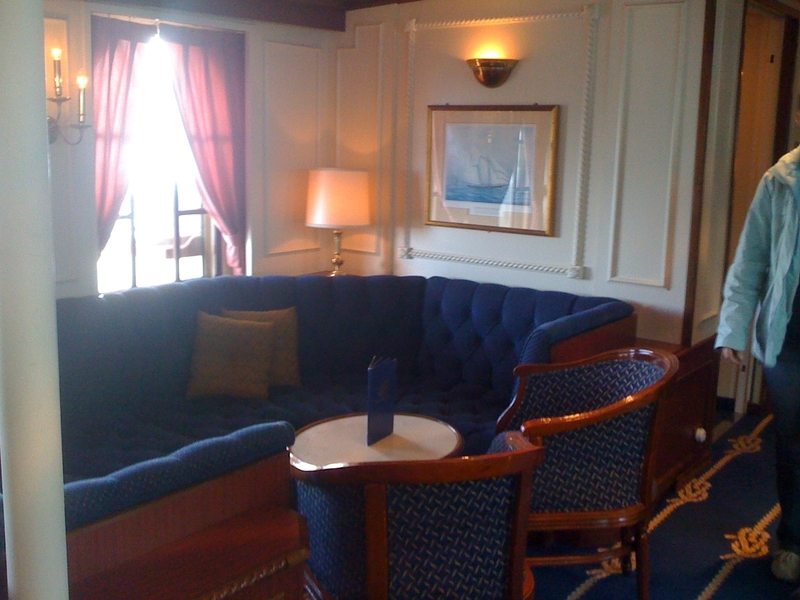 Well furnished with plenty of brass and teak, they are cosy and well appointed and feel like a refined way to travel. Beds are comfortable and normally are twins which can be arranged as a double. A nightly turn down service is provided with chocolates on pillow. bathrooms generally freature showers, wash hand basins and WCs, although some of the larger suites offer a bath. 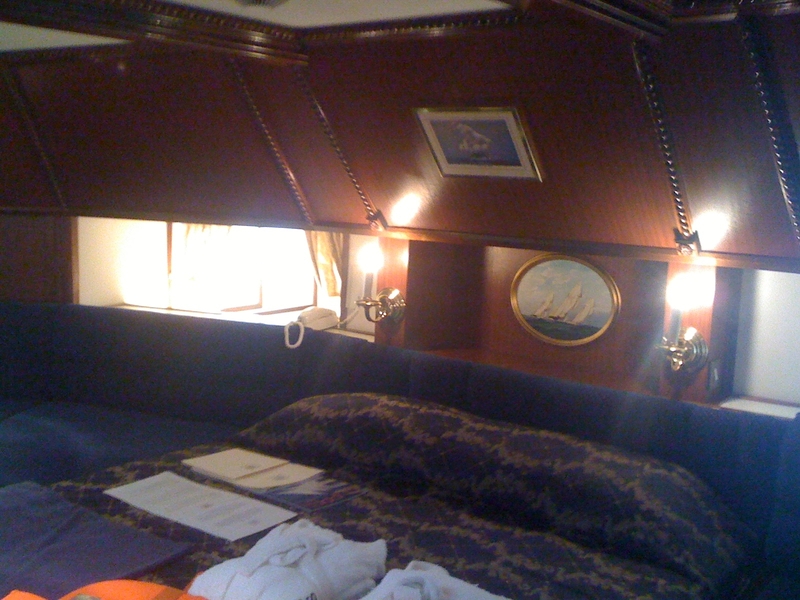 Star Clippers Cruises cabins are insides without windows, outsides with portholes or suites which have a small balcony area. 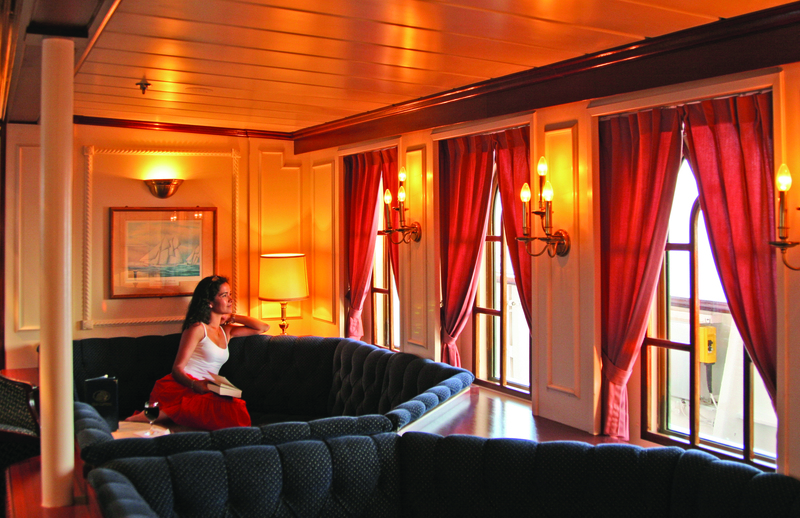 TVs and DVD players (reception offer free DVD rental) are available in each cabin. 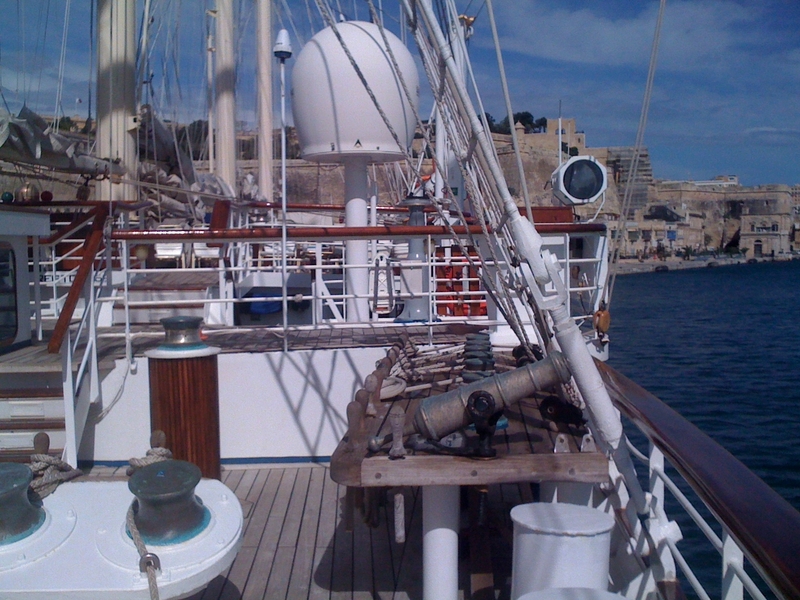 Generally though, on a star clippers voyage, not a great deal of time each day is spent in the cabins, especially since the ports of call visited are easily accessible and often quite different to those encountered on larger ship cruise itineraries. 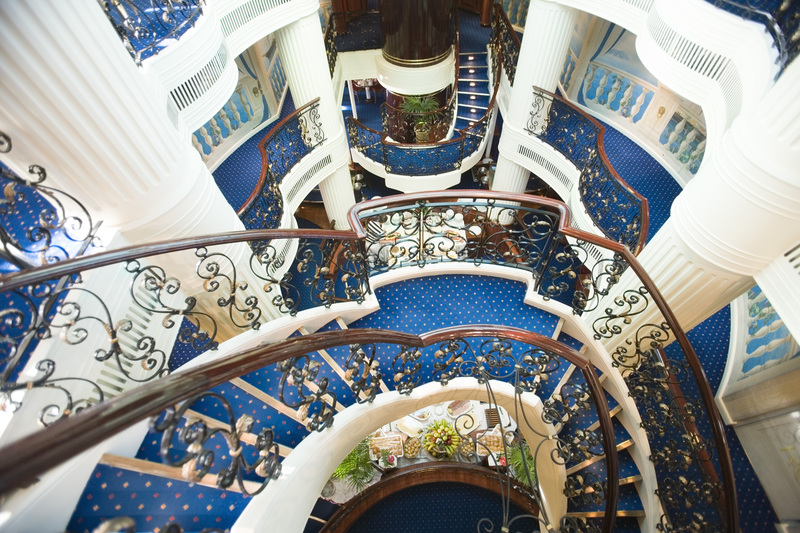 Having a deck area festooned with sails, masts and several miles of rope, there's much to do and see going on onboard Star Clippers Cruises ships. 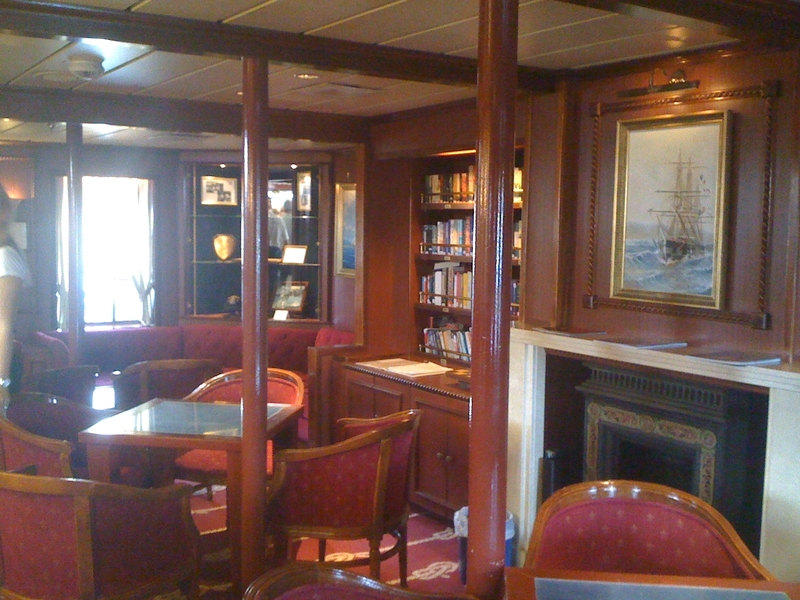 The bridge area, complete with ships wheel and navigation equipment is open to see 24/7, which provides a fascinating insight into the navigation and challenges of steering such a vessal as you're free to watch the captain as he guides the ship in to position as the ship moors up each day. If you prefer to be even more hands on, the crew will happily welcome you into the team hoisting up the sails ready for the off! 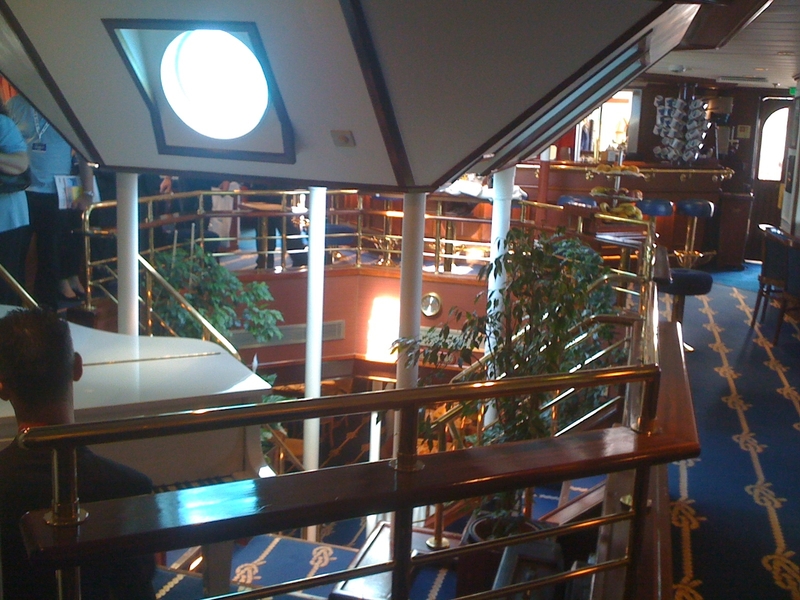 In the social areas; bars, receptions, libraries and lounge areas, there's a genuinely social vibe, with the smaller amount of passengers promoting a really freindly and open environment - expect to make friends for life. 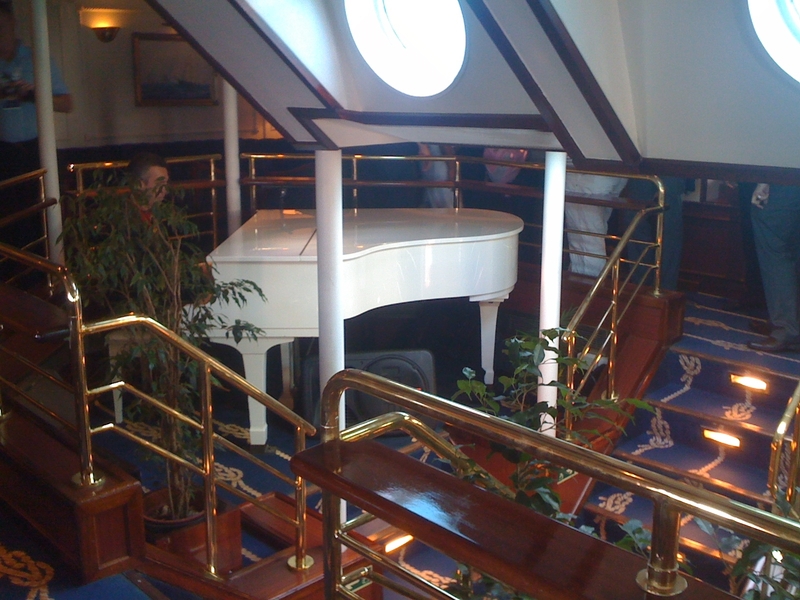 Children of all ages are welcome onboard Star Clippers Cruises, although be aware there are no kids clubs or designated activities for children. 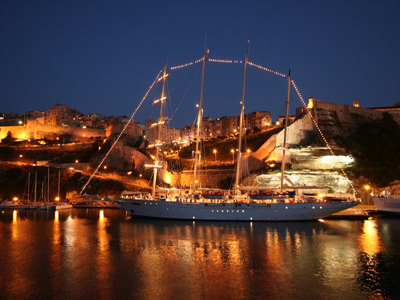 One of the most breathtaking elements of a Star Clippers Cruises holiday occurs at sail away. The whole dropping of the sails ceremony, against a backdrop of athmospheric Vangelis string music is hugely emotional and unique to square rigged vessels. To watch the crew all pulling together in guiding this elegant ship as you sail off into the sunset, is a memory which will stay with you for years to come. 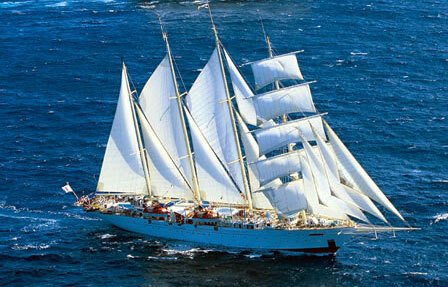 Lastly, it's the ports of call themselves which also deserve highlighting - due to the shallower draft, and smaller numbers of passengers, a Star Clippers Cruises ship can call at smaller, off the beaten track ports - think small authentic fishing villages and yachting harbours instead of huge commercial cruise terminals. 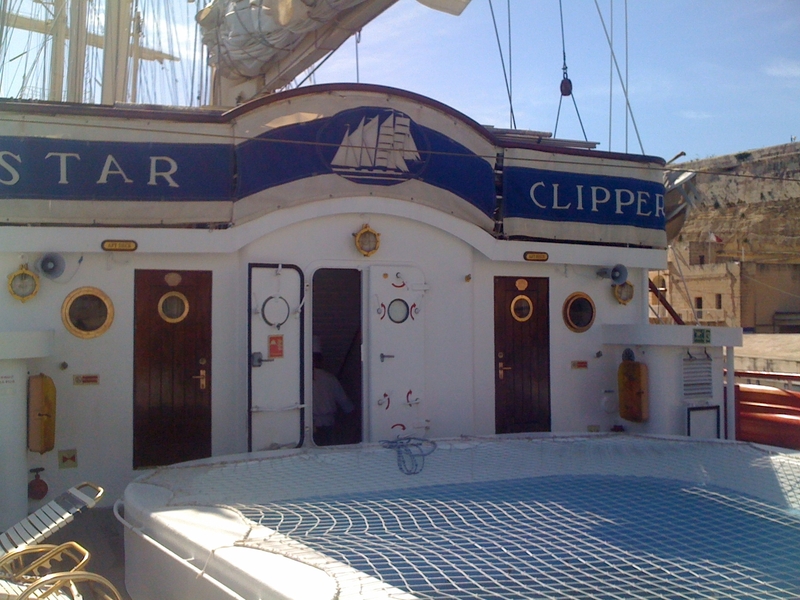 As such everything about Star Clippers Cruises feels exclusive and immersive, and of course incredibly relaxing. 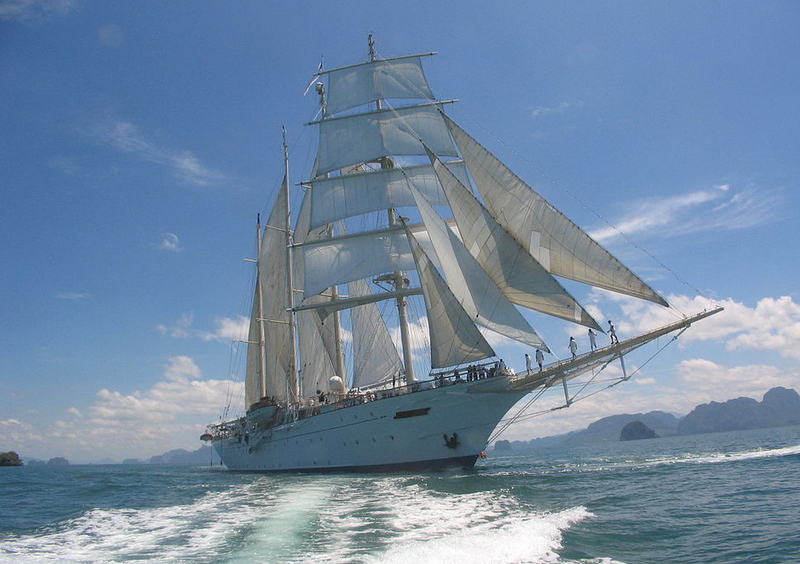 Star Clippers are entirely unique in the world of cruising - imaging sailing the globe in relaxed luxury.